Have you ever seen a management or regulatory agency adopt anything….ever which benefits the public whom they claim it works for, or is your experience that they convolute the regulations and processes so badly that they become a prohibition or nearly impossible to comply with? This is what we believe the USFS is doing with this proposal. We have attached several things below and we apologize for the length of the post, but it is crucial you see specifically what we are opposing and why. What is contained in this post is the notice on Regulations.gov which outlines their proposal and the other is a letter written by AMRA which opposes the proposal and defines why. Without having a clear definition of what a “significant disturbance” is, they will continue to declare any activity, including digging with shovels or camping on your claim to require a Plan of Operations and bond. In the past, heavy equipment was the defining process on significant disturbances, now, due to the ideology of some within the USFS, anything which disturbs the ground must require you asking for permission to mine your claim. We strongly urge you to click on the link and submit a comment opposing this new proposal. You must define why you oppose this and we recommend you state they need to “define” what a significant disturbance is and back that up with sound scientific studies to prove the significant disturbance. Suction dredging is de mininmus and should not require a PoO. The Mining Laws granted by Congress state- “The Forest Service may not prohibit locatable mineral operations on lands subject to the Mining Law that otherwise comply with applicable law, nor regulate those operations in a manner which amounts to a prohibition”. Between my spouse and I, we have over 30 years of small scale mining experience. We own 7 claims and are active members of American Mining Rights Association (AMRA). We have had to get involved with the rights of miners since they are being stripped away and ignored by USFS rulings, regulations and policies. This proposal will directly affect and prohibit small-scale miners who own the mineral rights and pay property taxes on Forest Service Land. We use pans, metal detectors, sluices, high bankers, dry washers and dredges to find the gold. We also remove other heavy metals like lead from buckshot, weights from fishermen and 99% of the mercury in the rivers and improve fish spawning and habitat areas. What a small-scale miner does is considered “de minimus” (not harmful) based on multiple reports because we mainly use hand tools and small lawnmower sized motors. Getting a Plan of Operation is hugely prohibitive to the over 200,000 small scale miners that own mining claims in the Western US. We are already affected by timing restrictions to protect species, mitigation measures like creating settling ponds, reclamation like filling in our holes and bonds to prepay reclamation costs. Our claims are typically only a 1⁄4 mile long on the river. We additionally must obtain a permit from the Water Board and some places from US Fish and Wildlife and await approval before starting and maintain monitoring during. The only difference between 1974 when the USFS 36 CFR part 228 subpart A was enacted and now, is the manner in which USFS (United States Forest Service) staff address the exact same mining issues. In 1974 no Plan of Operation was required for suction dredging because the USFS view was that it did not create a “significant disturbance”. Now, the variance between USFS personnel ranges from suction dredging is considered not harmful to Idaho where a Plan of Operation is required because it causes a “significant disturbance”. This is the same activity, suction dredging, as well as, high bankers, sluices, panning etc., with two completely different outcomes. The only reason for the difference is the USFS personnel’s interpretation of USFS regulations. These incorrect interpretations are occurring because USFS has no nation-wide policy directing USFS staff to consistently interpret regulations and policies based on sound scientific analysis, legal interpretation and common sense. Since there is no consistent policy and interpretations, USFS cannot have oversight within to ensure policies are followed and personnel are interpreting regulations, like a significant disturbance, to be a significant disturbance and not ALL disturbances. Chief concern is that no matter what Code of the Federal Register the USFS uses, BLM or USFS, as long as there is no nation-wide policy directing USFS staff to consistently interpret regulations and provide clear policies based on sound scientific analysis, legal interpretation and common sense, USFS will continue to create a prohibition on small scale miners. As long as there is no oversight of the personnel to ensure policies are followed and regulations are interpreted correctly, USFS will continue to be a rogue agency abusing its authority with all public land users. There needs to be a policy with a clear list of what equipment requires a Plan of Operation and which do not, what defines a “significant disturbance” and what does not. Stating that if it causes a “significant disturbance” and not defining what that means in a measurable and scientific manner is like having no definition. That is where USFS is right now, and that is why there are so many lawsuits surrounding them. The environmental groups are dictating through settlements, what rules the USFS are to make. Order 3368 from Secretary of Interior-Promoting Transparency and Accountability in Consent Decrees and Settlement Agreements will shed some light on these lawsuits abuses. It is not uncommon to hear of a Plan of Operation that has been ignored and delayed for several years or indefinitely by the USFS. There should be a policy to have an answer back within 15 days and if it is not received then the Plan of Operation is defaulted to approved. Nothing in the proposed BLM (Bureau of Land Management) 43 CFR 3809 adoption indicates the policy of time to respond and the result if nothing is done. USFS will continue to ignore and delay Plans of Operations for years or for forever, creating a prohibition on mining. Our experience has always been that the delays are on the USFS side due to staffing, money, workload or some other excuse. What is your plan to address the delays in Plans of Operations? Why does the USFS not have a uniform definition on what a significant disturbance is? Notice that USFS is asking for the regulation enforcement measures that BLM has, but not the independent IBLA Court (Internal Bureau of Land Appeals) that can overturn their regulations if unreasonable. They are cherry picking the parts they like in a disguise of trying to “benefit persons who conduct locatable mineral operations on public lands”. If they really wanted to help the miners, they would remove their duplicative regulations by eliminating minerals management division by the USFS and turning it over to BLM. Let BLM continue to regulate the miners. BLM has successfully been regulating miners without nearly as many lawsuits by miners and conservation/environmental groups. The lower number of lawsuits indicates that BLM is reasonably implementing their policies. The USFS is mandated to manage the forests and surface FOR the public, not prohibit activities which are granted by Congress and this appears to be precisely what the USFS is doing. How many pages of regulations concerning mining claims and mining are there in the USFS now? Convoluting the regulatory process is prohibitive and not a benefit to any miner, public land user, just the USFS. Director (of the Office of Management and Budget) shall submit to the President a proposed plan to reorganize the executive branch in order to improve the efficiency, effectiveness, and accountability of agencies. The proposed plan shall include, as appropriate, recommendations to eliminate unnecessary agencies, components of agencies, and agency programs, and to merge functions. The proposed plan shall include recommendations for ANY legislation or administrative measures necessary to achieve the proposed reorganization. Eliminating USFS minerals management also complies with Executive Order 13871-A Federal Strategy to Ensure Secure and Reliable Supplies of Critical Minerals states “streamlining leasing and permitting processes to expedite exploration, production, processing, reprocessing, recycling, and domestic refining of critical minerals”. This proposal qualifies as a significant regulatory action under Executive Order 12866 (Regulatory Planning and Review) and should have the complete review necessary to understand its ramifications. This rule will adversely affect in a material way a sector of the economy, productivity, jobs and communities. Executive Order 12866 states “An assessment, including the underlying analysis, of costs anticipated from the regulatory action (such as, but not limited to, the direct cost both to the government in administering the regulation and to businesses and others in complying with the regulation, and any adverse effects on the efficient functioning of the economy, private markets (including productivity, employment, and competitiveness), health, safety, and the natural environment), together with, to the extent feasible, a quantification of those costs; and an assessment, including the underlying analysis, of costs and benefits of potentially effective and reasonably feasible alternatives to the planned regulation, identified by the agencies or the public (including improving the current regulation and reasonably viable non- regulatory actions), and an explanation why the planned regulatory action is preferable to the identified potential alternatives.” These issues need to be analyzed and reported to the OIRA (Office of Information and Regulatory Affairs). Where is this analysis? The Regulatory Flexibility Act should also be addressed pertaining to the “significant impact on a substantial number of entities”. Whole mining communities are being decimated by mining regulations. Requiring a small-scale miner to obtain a Plan of Operation and therefore a bond will further have a significant impact on 200,000 plus claim owners plus the hundreds of thousands in the communities in the surrounding mining areas. The financial impact is significant as mining business after business are having to close their doors. This will additionally effect the 50,000 plus Gold Club members like Gold Prospectors Association of America that do not own claims but are operators on Federal mining claims, who buy equipment and travel/lodge/visit the surrounding areas of the gold club claims. According to the Bureau of Analysis Report on Outdoor Recreation updated Oct. 2018 the mining industry had added value of $188 million/support activities was $9 million in 2012. Contrast that to 2016 with the mining industry added value of $86 million/support activities was $5 million. That is a decrease of 46%/55% over a four-year period that can be directly attributed to over regulation. When determining the monetary effect on miner’s you should use the numbers before over regulation to see the true loss of revenue. Note how almost every one of the other outdoor recreation categories have increased over the last 4 years, but mining has decreased by half. https://www.bea.gov/data/special-topics/outdoor-recreation. Do you acknowledge the decrease in mining activity as reported? Although, it is a nice gesture to allow the common folk to write a comment on this rule, it is common practice for agencies to just go through the motions and completely ignore the millions of people that their rules are effecting because they have an agenda. The idea with comment periods is to hear the people you are effecting and endeavor to put yourself in their position and try to see from their point of view, but since many do not agree with what is being said and filter what is said through their own biases, they do not hear the other side and they push through their agenda despite significant opposition. Please hear what we are saying and put yourself in our position. 1c. USFS using BLM 3 Classes-Casual Use, Notice and Plan of Operation levels are still not clear enough. Casual use states “It MAY include use of small portable suction dredges.” The MAY in this sentence will become “It WILL NEVER include use of small portable suction dredges” under USFS interpretation. Casual use also states it “does not include use of mechanized earth-moving equipment, truck-mounted drilling equipment.” In my mind this means pans, metal detecting, sluices, high bankers, dry washers and dredges are casual use. This equipment needs to be specifically called out as casual use to decrees confusion for all parties involved. 1d. Proposed Requirements for 3 Classes-Casual use is specified in 1c above. Notice Levels is just for the agency to decide if it is a casual use or needs a Plan of Operations. Plan of Operations should be required only if using earth moving equipment. There must be a 15-day max processing time for USFS to respond, or if no answer is returned it is assumed to be approved. Use BLM’s bond calculator for the bond amount. Reclamation returns the land to its previous state, not an improved state. Independent IBLA style court should be implemented for disagreements about unreasonable regulations. 1e. Issues and Challenges Experienced-We have experienced many circumstances of people being cited for running a sluice, high banker and dredge as causing a “significant disturbance” and needing a Plan of Operation. Harassment, searching of cars, Taser in the face (Selfa vs. USFS), confiscation of equipment are fairly common experiences as a small-scale miner with a USFS officer. Road closures are considered a prohibition as well, since we are not able to get to our claims. It should be policy that notices be sent to all claim holders /stakeholders 2 weeks prior to when a road will be closed, with an explanation and expected re-open date, so arrangements can be made to get a lock and key to the gate. Many claims holders are traveling from 8 plus hours away only to find out that the road is closed and there is no way to get a lock and key any time soon. Many times, a lock and key is purposefully delayed by months and sometimes indefinitely and there very rarely is a justifiable excuse on why the road is closed originally. There additionally should be a notice sent out immediately to all claim holders/stakeholders once the gates have been opened up again. Since BLM has the names off all the claim holders/stakeholders that need to be contacted, but not USFS, then this further supports my argument to remove USFS minerals management division and let BLM take care of the miners. RS2477 must be recognized and followed. Do you acknowledge RS2477? 1f. Notice of Intent Experiences-It has been our experience that every Notice of Intent has turned into a Plan of Operation, which frequently is never processed by USFS. 1g. Activity, Location Should Have Increases Classification? Endangered species concerns are addressed already with the time limitations set by USFS. USFS can provide flyers to identify and give directions on what to do if a species is encountered. Let’s practice some Good Faith and common sense and acknowledge that miners will go out of their way to NOT harm any species while mining. Being on an endangered listing makes no difference in this respect. What ever happened to assuming an individual is innocent until proven guilty? Then deal with that one individual with penalties. Locatable minerals are only at certain locations but species are adaptable, resilient and relocatable. Endangered species, critical habitat, Wild & Scenic areas etc. are massively abused by environmentalists to prevent the public from accessing public lands and businesses from operating. Therefore, no, small scale mining should not require a Plan of Operation in any of these areas. Just because an area has a label, does not change the fact that what small scale miners do is “de miniumus” or not harmful according to multiple studies and that the mining laws granted by Congress gives the miner the right to obtain the minerals rights on their claims. Common sense tells you that someone that pays for a claim to obtain the mineral rights will want to be able to obtain that mineral. Why would anyone own a claim and then never obtain any minerals? As stated earlier, requiring small scale miners to obtain a Plan of Operation (for any species, scenery, habitat etc.) is equal to a prohibition under USFS because of the environmentalist settlements and the USFS proven agenda to delay by years or indefinitely their approval of the Plan of Operation. Perhaps that is your plan, make it so onerous that people do not file mining claims, or give up the ones they have now. 2c,d, f d. Expedite Approval of Plans of Operations-The GAO (Government Accountability Office) is incorrect in thinking that the delays of approvals are caused by the operators. The operators want to get approval and start working. It has been our experience that the delays are on the USFS side with excuses like not enough money, staff or workload. 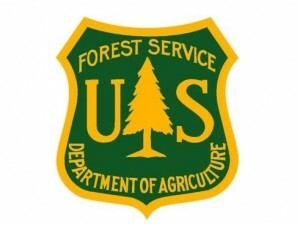 Making the operators meet with USFS, or sign off that a proposal is complete before initiating the NEPA analysis will not expedite the Plan of Operation process. Instead these requirements will further be used as stall tactics to not approve Plans of Operations. What would be helpful is to have 15 days for approval and another 10 days for the NEPA analysis, 25 days total from submission to approval. There must be a set number of days and if no comment is heard back then it is defaulted to approved status. BLM has been issuing Plans of Operations much quicker than USFS because of its clear policies, interpretations of regulations and the independent IBLA court that further clarifies new issues that arise. What is the plan for expediting this process and what is the plan if these delays reach one month, one year or multiple years? 2e. Paperwork for Plan of Operations-Having consistent requirements and simplified, universal forms for all divisions to use for Plan of Operations would make for a better process. 3c,d,e. Modifications to Plan of Operations after Approved-Requests for modifications should only be initiated by operators, not forced by USFS. If the operator desires to expand or change his Plan of Operation from its original plan, then he should be able to without starting the process all over. Since regulations and congressional acts are constantly changing, the operator should not have to modify his Plan of Operation due to changes in environmental viewpoints like climate change or change in USFS personnel and/or USFS regulation interpretation. 4g,h,i. USFS using BLM Enforcement of Locatable Minerals-No, USFS should not be more consistent with the BLM’s regulations governing the enforcement of locatable mineral operations, not because the BLM enforcement is a problem, but because USFS has proven that they do not have a consistent interpretation of regulations. An example is the definition of “significant disturbance” is equal to ANY disturbance. USFS will use this enforcement to create a prohibition on mining by requiring all small-scale miners to get a Plan of Operation, determine that they are in violation, suspend/nullify operations indefinitely, then fine them $100,000 and/or 12 months in jail, instead of $5,000 and/or 6 months in jail under USFS enforcement. Notice that USFS is asking for the regulation enforcement measures that BLM has, but not the independent IBLA Court (Internal Bureau of Land Appeals) that can overturn their regulations if unreasonable. They are cherry picking the parts they like in a disguise of trying to “benefit persons who conduct locatable mineral operations on public lands”. If they really wanted to help the miners, they would remove their duplicative regulations by eliminating minerals management division by the USFS and turning it over to BLM. Let BLM continue to regulate the miners. BLM has successfully been regulating miners without nearly as many lawsuits by miners and conservation/environmental groups. The lower number of lawsuits indicates that BLM is reasonably implementing their policies. Is the USFS willing to eliminate the duplicative regulations? 5e,f. Reasonably Incident Use and Occupancy-No, USFS should stay with its current regulations. In Idaho on the South Fork of the Clear Water in July 2018 we were given a notice/warning of occupancy violation by USFS if we stayed at a campsite for over 14 days. We had obtained an Idaho Department of the Water Board permit for the 30-day dredging season. That’s right, we own the claim on several miles of this river, obtained a permit and we only get to suction dredge for 30 days, also must have fish biologist and USFS monitor our dredging in a pre-approved 30-foot area and perform reclamation. Guess where the gold is? Nobody knows, so we asked for another location on our claim and the water board, after 7 days to review, denied approval. By the way, the new spot we requested was the same exact spot that was approved the previous year by the same water board. My point being, we are only there for 30 days out of 365 days of the year to mine. Occupancy should not be in question or require paperwork while a small-scale miner is on their claim. Anyone that owns a claim (which BLM can easily verify) should be allowed to occupy beyond 14 days while they are actively mining. If a Plan of Operations is required because the operation is larger, then a visit and approval for occupancy and therefore the containment and reclamation due to occupancy should be reviewed as part of the Plan of Operation. Occupancy alone does not justify a Plan of Operation. USFS will use this enforcement to create a prohibition on mining by anyone that occupies for longer than 14 days, requiring the small-scale miners to get a Plan of Operation, determine that they are in violation, suspend/nullify operations indefinitely, then fine them $100,000 and/or 12 months in jail, instead of $5,000 and/or 6 months in jail under USFS enforcement. Notice that USFS is asking for the regulation enforcement measures that BLM has, but not the independent IBLA Court (Internal Bureau of Land Appeals) that can overturn their regulations if unreasonable. They are cherry picking the parts they like in a disguise of trying to “benefit persons who conduct locatable mineral operations on public lands”. If they really wanted to help the miners, they would remove their duplicative regulations by eliminating minerals management division by the USFS and turning it over to BLM. Let BLM continue to regulate the miners. BLM has successfully been regulating miners without nearly as many lawsuits by miners and conservation/environmental groups. The lower number of lawsuits indicates that BLM is reasonably implementing their policies. 6a,b,c. Financial Guarantees-Subsequent review of the financial obligations is like the change to the Plan if Operation and is like a double jeopardy. Once a Plan of Operation and subsequent bond is approved there should be no changes. Only if the operator decides to change the Plan of Operation and subsequent bond should there be any changes. Since regulations and congressional acts are constantly changing, the operator should not have to modify his Plan of Operation/bond due to changes in environmental viewpoints like climate change or change in USFS personnel and/or USFS regulation interpretation. Operators should only be responsible for reclamation to previous condition and never to improved or long-term projects being tacked on. This ploy is seen in the cities where a permit for a new building is harnessed with improving and upgrading the whole block to get approval. It is not fair. If the city feels it is really necessary, then they should plan their budget accordingly. It is easy to have all sorts of unnecessary projects be funded when you hold the permit out of reach. Under USFS the Plan of Operation approval will be harnessed with ridiculous improvement costs where essentially a prohibition will be in effect. 7d,e. Operations on Withdrawn or Segregated Lands-Locatable minerals are only at certain locations but species are adaptable, resilient and relocatable. Endangered species, critical habitat, Wild & Scenic areas etc. that create withdrawn or segregated lands are massively abused by environmentalists to prevent the public from accessing public lands and businesses from operating. Withdrawing mining claims early because there is a proposal in the future that may or may not happen is another scheme to prevent miners from mining. Mining claims should not be withdrawn early for a potential change later. BLM, not USFS, should validate all claims that are submitted and notify immediately if there is a correction that needs to be made. We have many circumstances of claim jumping and claims being filed on top of other claims that should never have happened. Only after we ask for BLM to adjudicate the claims in question are they looked at. The problem lies with having to file your claim in both the county and with BLM. Neither entity wants to verify if the claim being filed is valid, they just take your money. Then when there is a problem they say it’s not my problem and they send you to a civil court where a city judge who has no knowledge of the mining laws will come up something wrong. We had a claim jumper that was occupying on a club claim that he had top filed on. The city judge ruled that the claim jumper could maintain occupancy and stay on the best part of the claim and the original club that filed the claim was relegated to the rest. I guess in his eyes it is because the claim jumper was there the most and determined he owned it the most. This is completely wrong. BLM should have caught the top filing and fixed this problem in the beginning and definitely should have adjudicated the claim and stated the club as the original filers on the claim and therefore the owners. USFS should have then kicked him off the claim for occupying beyond 14 days since he did not rightfully own the claim. I mention this to illustrate that yes, BLM should validate all claims with each submission. Casual use and Plan of Operations should be the same in withdrawn, not withdrawn or potentially withdrawn from mineral rights areas. We believe this because the mining laws are very clear that public lands are to be kept open for mineral entry. 8c,d,e No change to salable or locatable minerals under USFS. USFS should not be able to delay the substance removal while they consider whether the substance is a salable material rather than a locatable material. USFS should ask BLM to validate claims and validate salable or locatable minerals. USFS will use this to begin to redefine what is locatable and what is salable so they can stop all mining. What is locatable and salable is already defined, USFS should not be determining any variations. These incorrect interpretations of what is locatable and salable are occurring because USFS has no nation-wide policy directing USFS staff to consistently interpret regulations and policies based on sound scientific analysis, legal interpretation and common sense. Since there is no consistent policy and interpretations, USFS cannot have oversight within to ensure policies are followed and personnel are interpreting regulations, like a locatable mineral, to be a locatable mineral and not possibly a salable mineral too. Here is the link to the proposal and where you can make comments. Be sure to be specific.